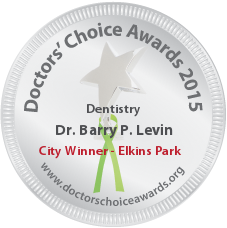 Periodontist Barry P. Levin, DMD, Elkins Park, PA, practices a full scope of periodontics with expertise ranging from dental implants to cosmetic periodontal surgery, gum grafting and crown lengthening. Dr. Levin focuses on the treatment of a wide variety of periodontal (gum) disease. Dr. Levin has the background, knowledge and dedication one would want in a Periodontist. I endorse this dentist as his skills & compassion make it easy for me to refer my patiets to him for quality periodontal care. He is an expert and caring dentist. Barry teaches and performs at a superb level. Caring and an expert in the field, he is truly a special dentist- a true specialist. I’ve known Dr. Levin for over 22 years since dental school. I can attest to his character and skill as both a colleague, friend and patient. He is a credit to the profession and his patients! Dr. Levin is sincerely the best in the Periodontics and Dental fields. 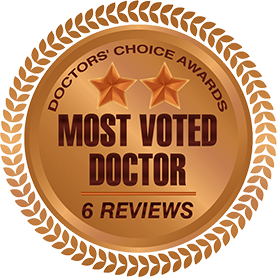 His skill level is unmatched, and he continually provides his patients with the latest technologies, methods, and innovations within the profession. 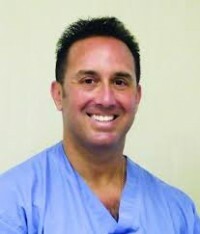 He has a unique background to draw upon – faculty at the University of Pennsylvania Department of Periodontics, an international lecturer, and a graduate from one of the nation’s top Periodontics residency programs. Patients are certain to receive the best Periodontal treatment coupled with a wonderful dental experience from a doctor that has exceptional chair-side manners. My family was fortunate to have Dr. Levin treat my father-in-law. Dr. Levin placed 8 implants in 2005, and they all are stable today as they were the day he placed them. More importantly, my father-in-law still raves about the experience he had with Dr. Levin. The field of Periodontics and the profession of dentistry as a whole are privileged to have a leader and figure like.